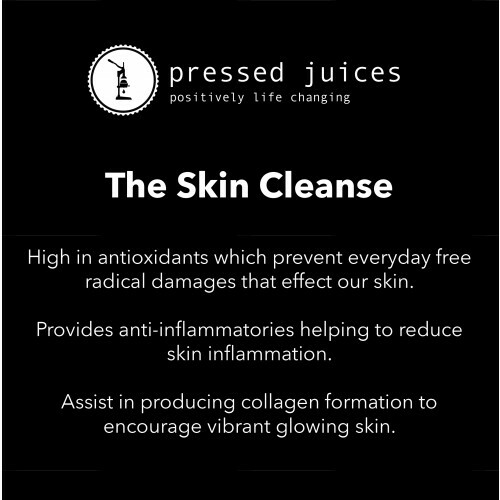 Pressed Juices liver cleanse was created to support detoxification pathways by flooding the body with nutrients that support liver health. Our liver is one amazing organ that acts, as our own filtering system ridding all toxins that may harm the body, helping to keep you bright, healthy and it is the only organ that can repair itself! Our liver can take quiet a beating, which is why we provide a liver cleanse which incorporates detoxifying foods that provide the liver with essential nutrients helping to nourish, reset your body to an alkaline state, assist in breaking down toxins and assist in overall healthy liver function.